Symptoms of low magnesium in your body. The importance of magnesium in a low-carb diet. 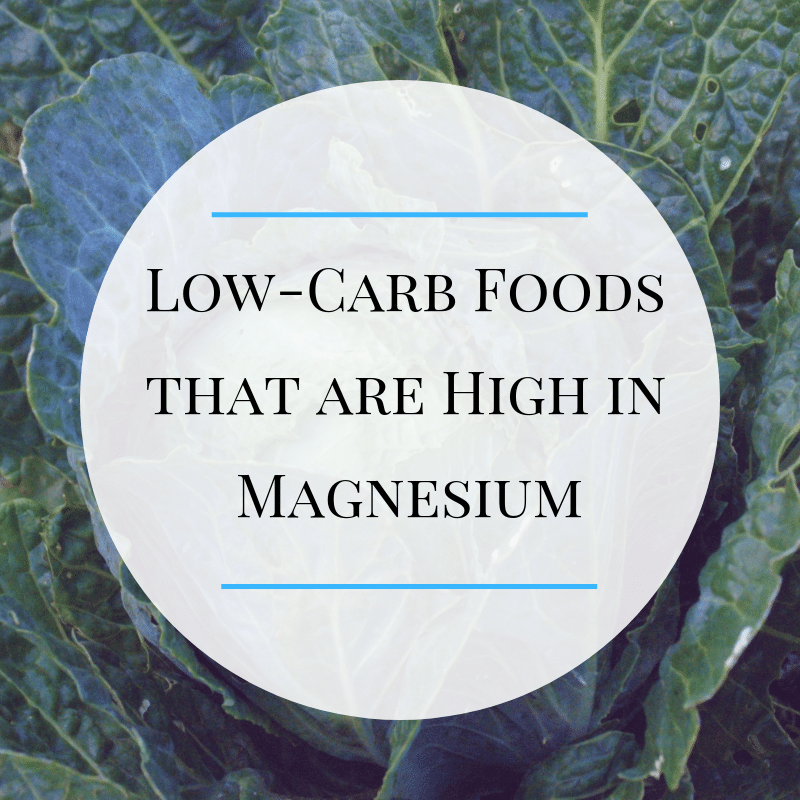 Examples of magnesium-rich foods that you can incorporate into your diet. When I taught about magnesium in my classrooms, I’d refer to it as ‘mellow magnesium’ because it has a wide range of calming effects on your body from more relaxed muscles to less anxiety. Magnesium deficiency is of particular importance for low-carb dieters because electrolytes, like magnesium, are more easily flushed out of your system when your intake of carbs is low. 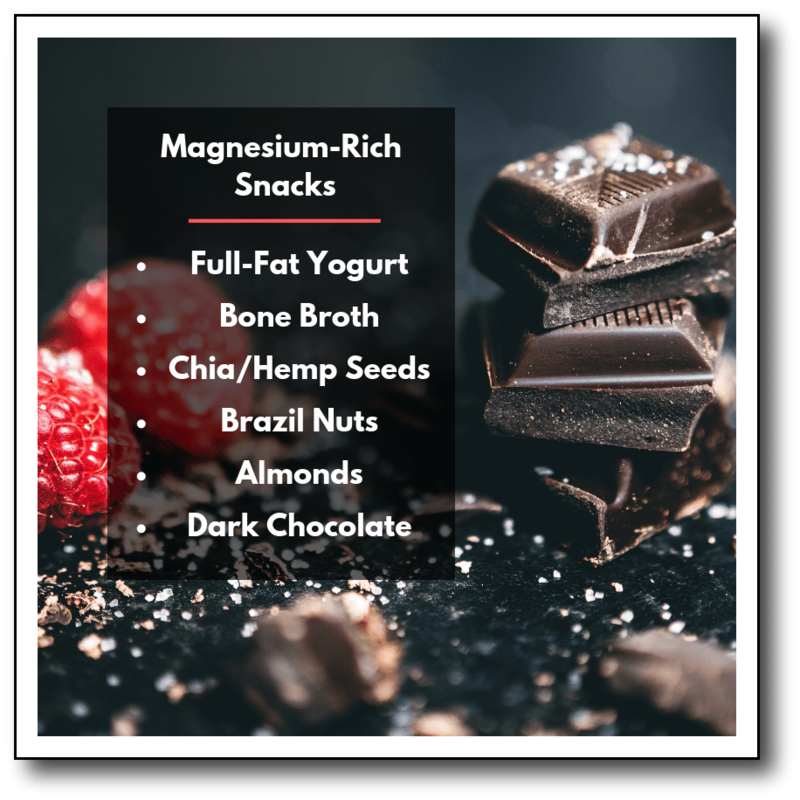 Fortunately, there are many low-carb foods that you can add to your day to boost the amount of magnesium you are getting. In fact, a properly prepared daily salad is one of the best vehicles for filling your body with magnesium-rich foods! 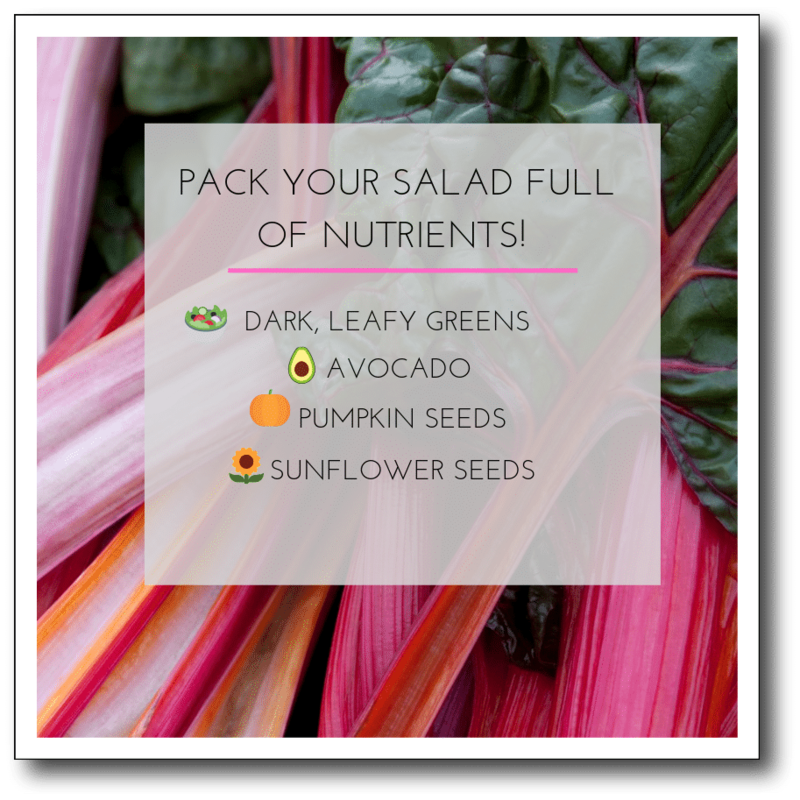 A bed of dark leafy greens along with pumpkin seeds, sunflower seeds, and avocados gives you a good dose of magnesium and makes for a great-tasting salad. If you are new to my blog, you might not know my 0,1,2,3 strategy for a quick start to your healthy diet. The one of that strategy is a daily salad, and I have a free video series that explains how to make it work for you. Side Dishes, Snacks and Seasonings! Dark greens like Swiss chard and spinach can also be eaten cooked and served as a side dish with a high-magnesium dinner of salmon or mackerel. If you add a snack to your day, good choices include full-fat cultured yogurt with chia or hemp seeds, or things like bone broth, almonds, Brazil nuts, and unsweetened dark chocolate (at least 70% cacao). 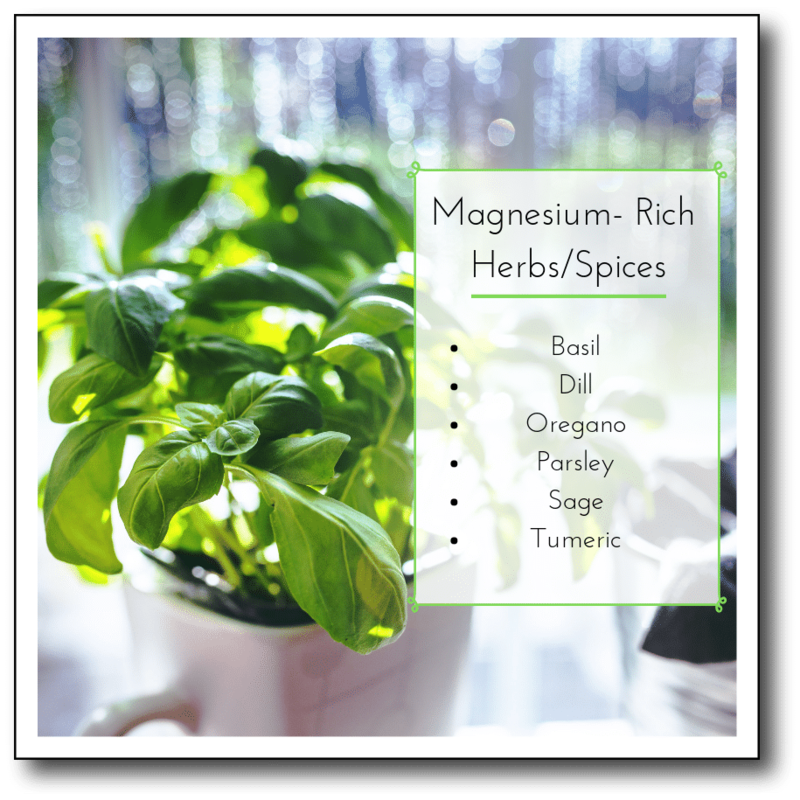 To give yourself an additional dose of magnesium for the day, season your food with herbs that provide the mineral, like basil, dill, oregano, parsley, sage, and turmeric. Despite boosting your intake of high-magnesium foods, if you are just starting your low-carb diet or you are prone to muscle cramps or trouble sleeping, it’s a good idea to make use of a high-quality magnesium supplement. 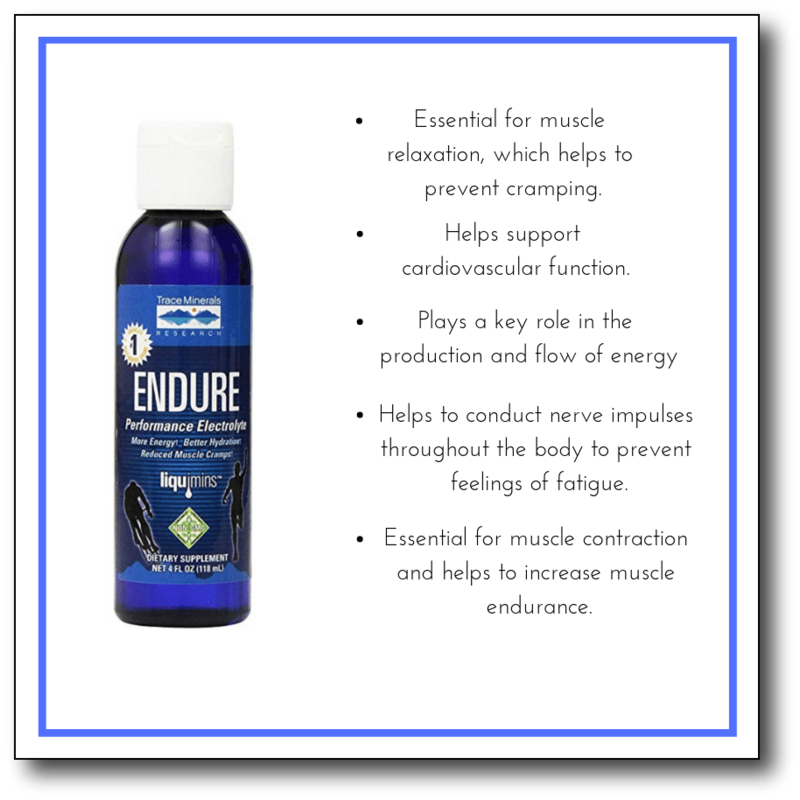 I use a brand called Endure Electrolyte supplement and I will leave a link to where you can find it if you’re interested. I hope this was helpful! I will see you back here next week with a new post to help you succeed with your healthy low-carb diet! 1. 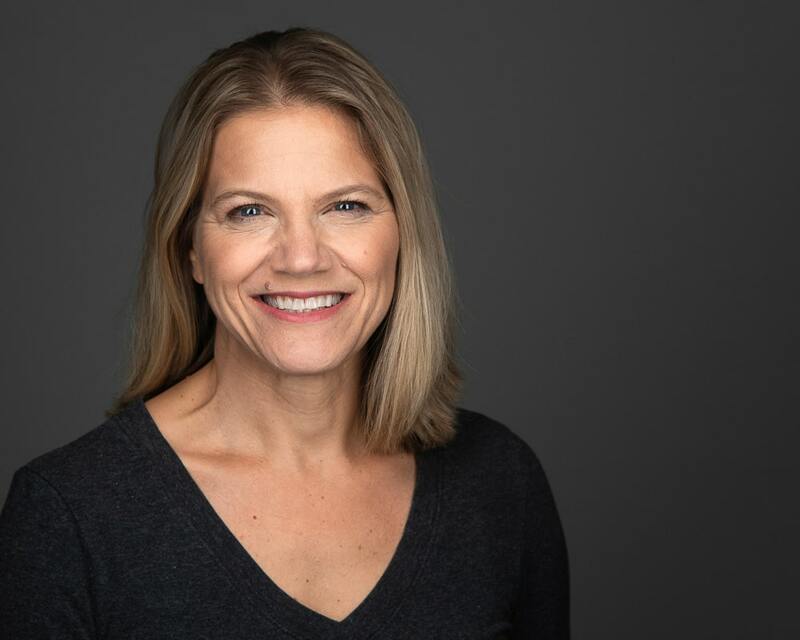 “Almost half (48%) of the US population consumed less than the required amount of magnesium from food in 2005–2006 Rosanoff, Andrea, Connie M. Weaver, and Robert K. Rude. 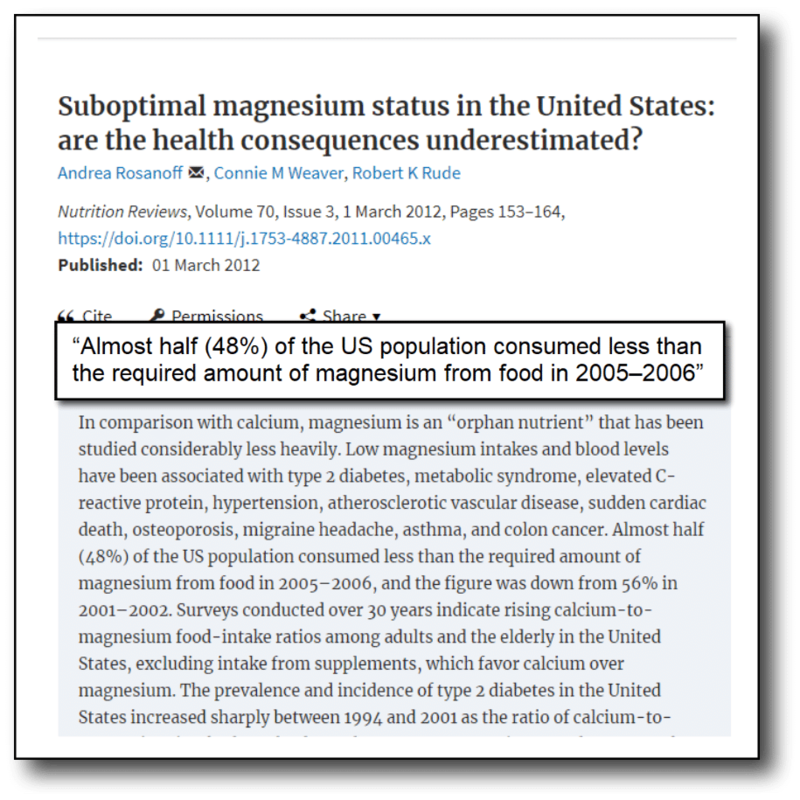 “Suboptimal magnesium status in the United States: are the health consequences underestimated?.” Nutrition reviews 70.3 (2012): 153-164.